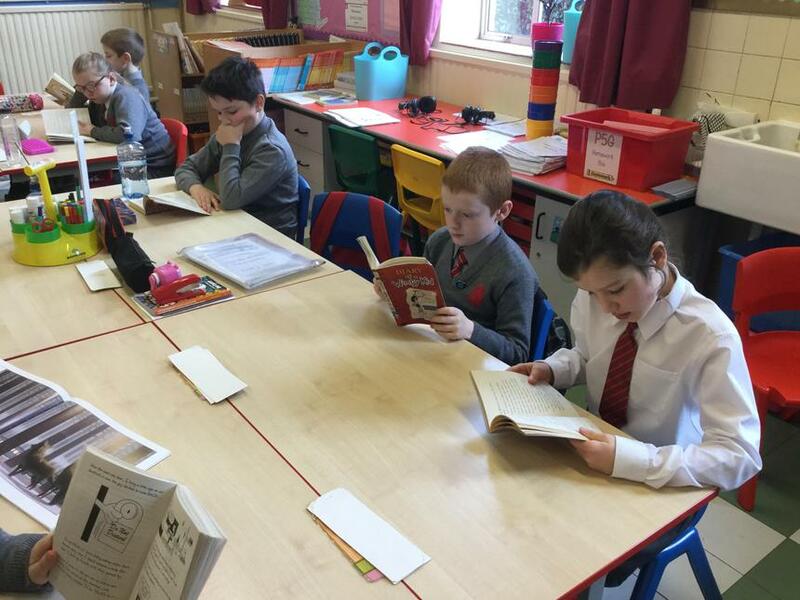 In P5G we enjoy reading our Accelerated Reader books. 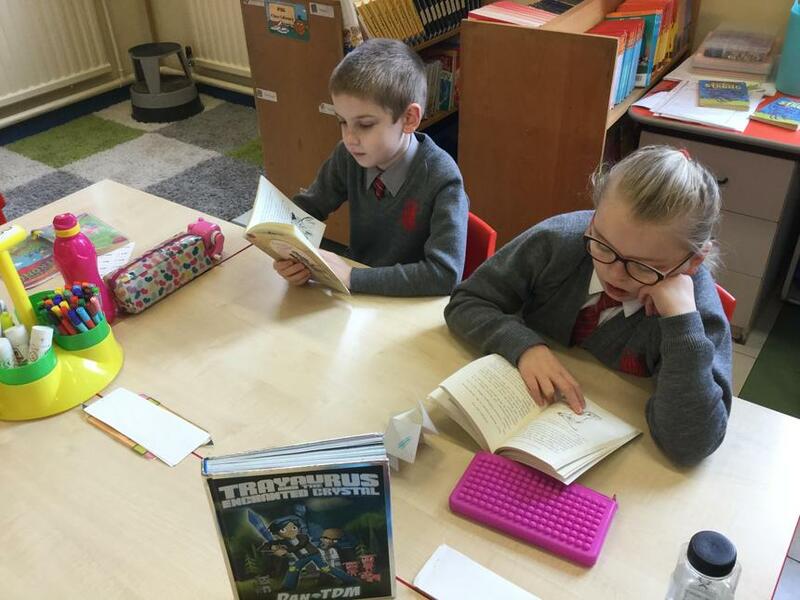 We love reading new books and answering the quizzes. 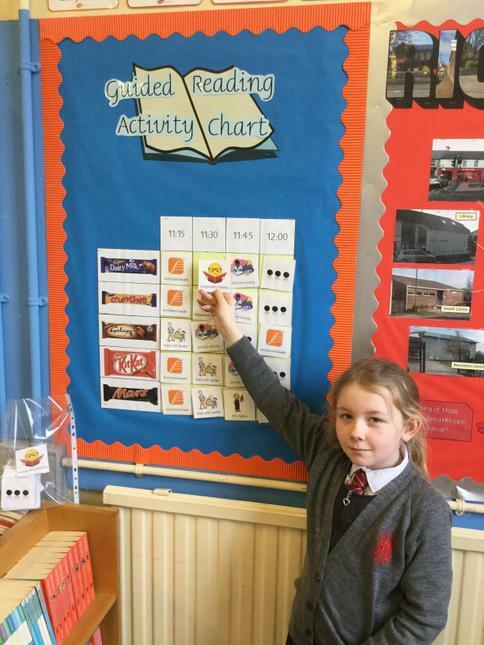 When we keep doing well in quizzes, we can win a Golden Ticket ... and Golden Tickets mean prizes! 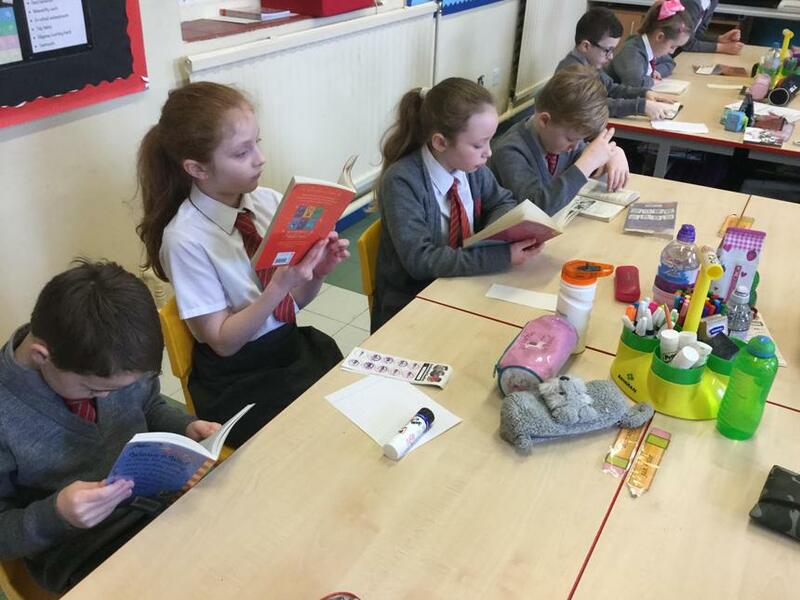 Most days we have silent reading time in class (E.R.I.C. 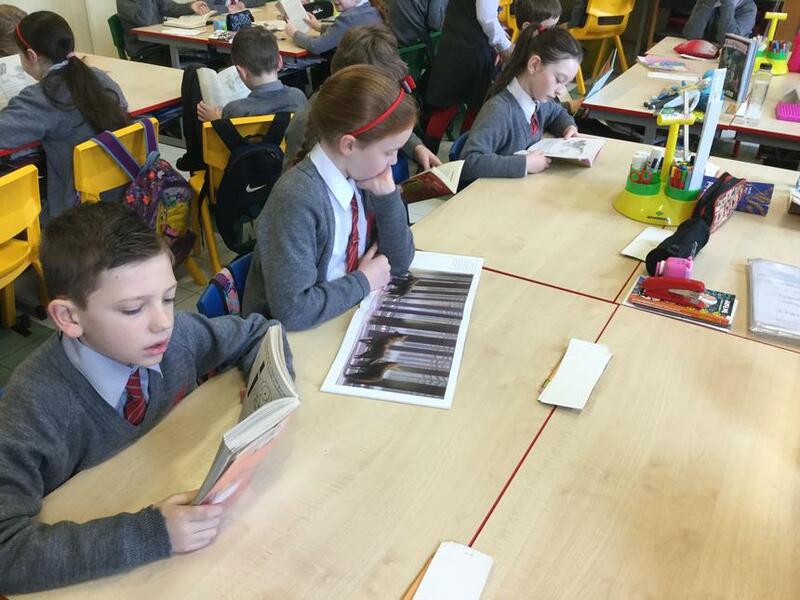 - Everyone Reading In Class). 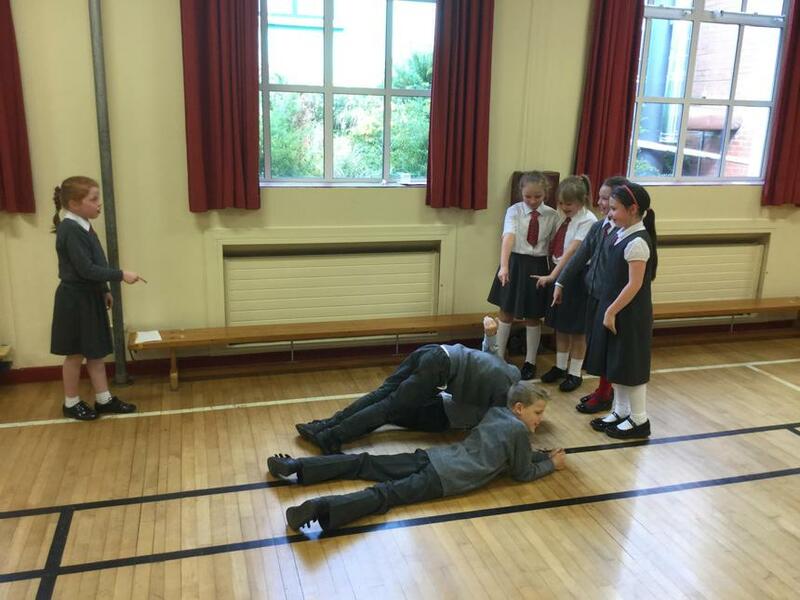 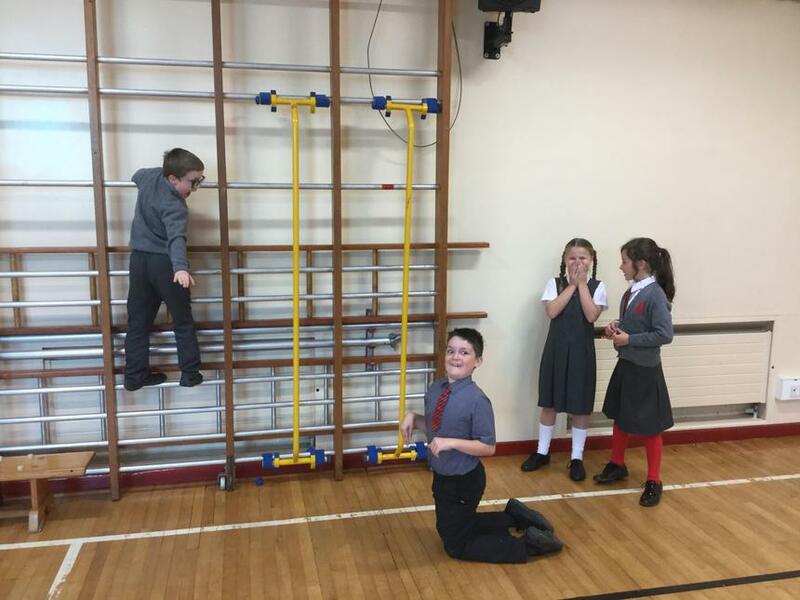 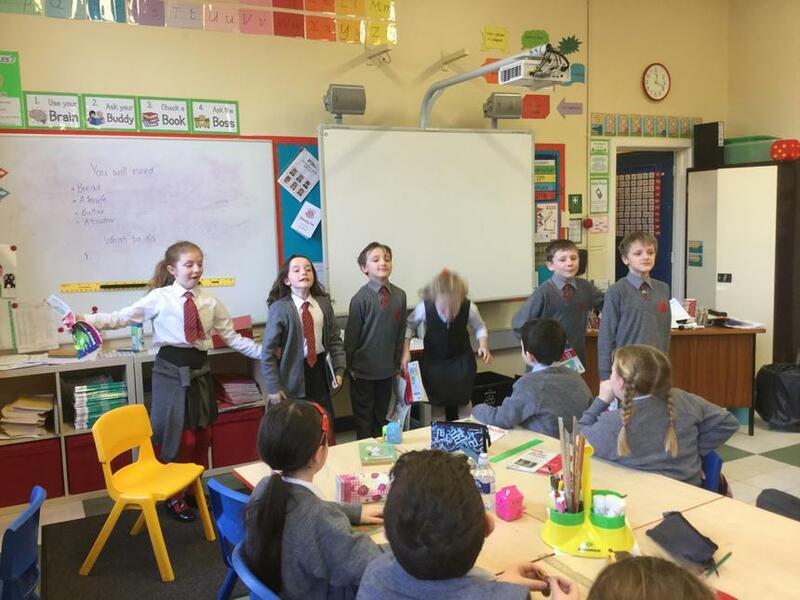 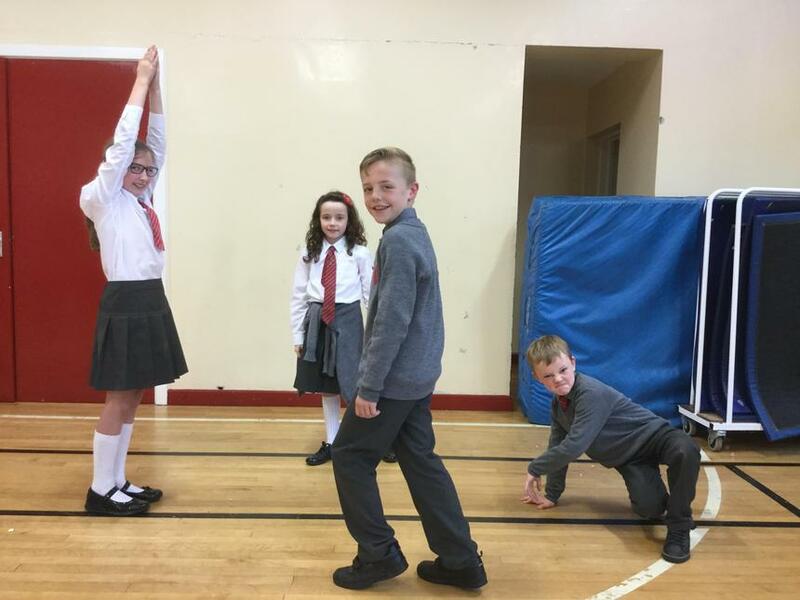 While studying Roald Dahl's The Enormous Crocodile, the pupils of P5G performed freeze frames to show the Crocodile's clever tricks. 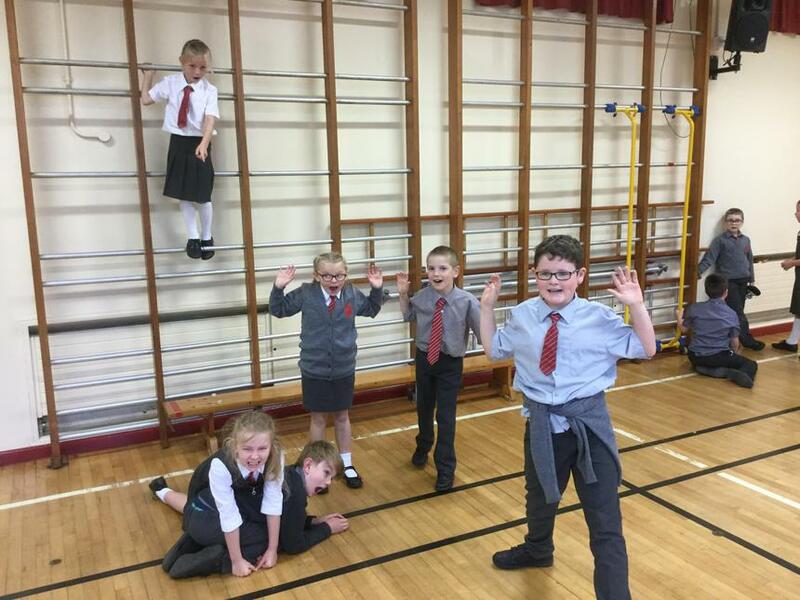 Take a look at our fabulous freeze frames! 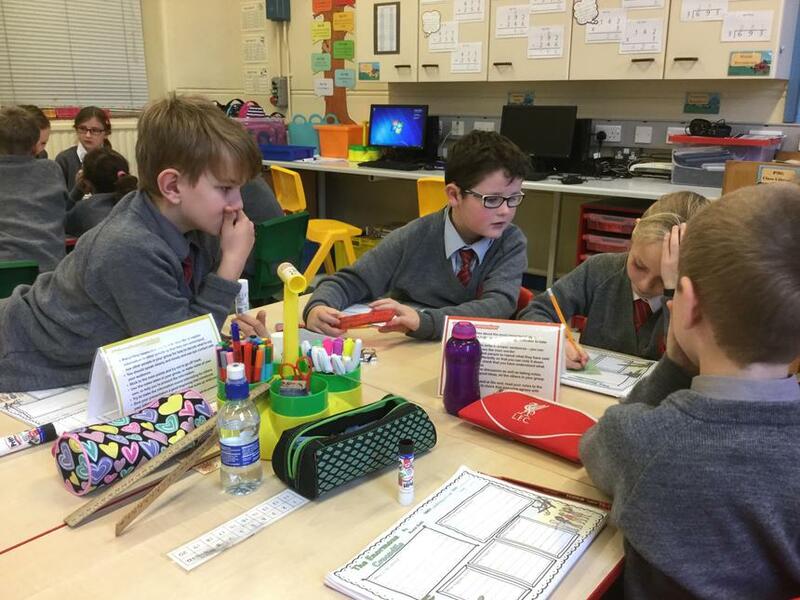 In Guided Reading lessons, we work in groups on a range of different tasks. 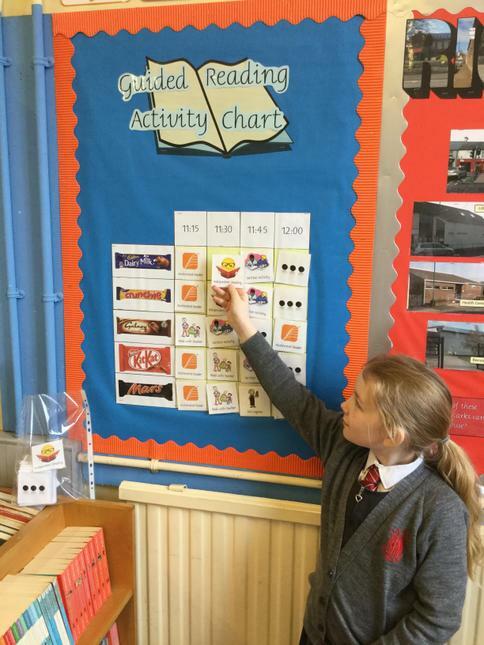 We use an activity chart to remind us of what activities we are doing in the lesson. 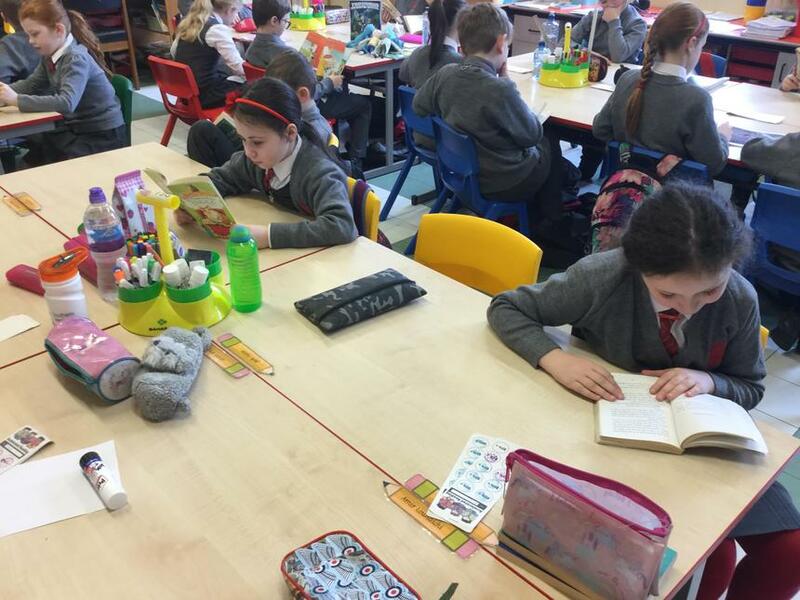 Everyone is really enjoying reading these new books! 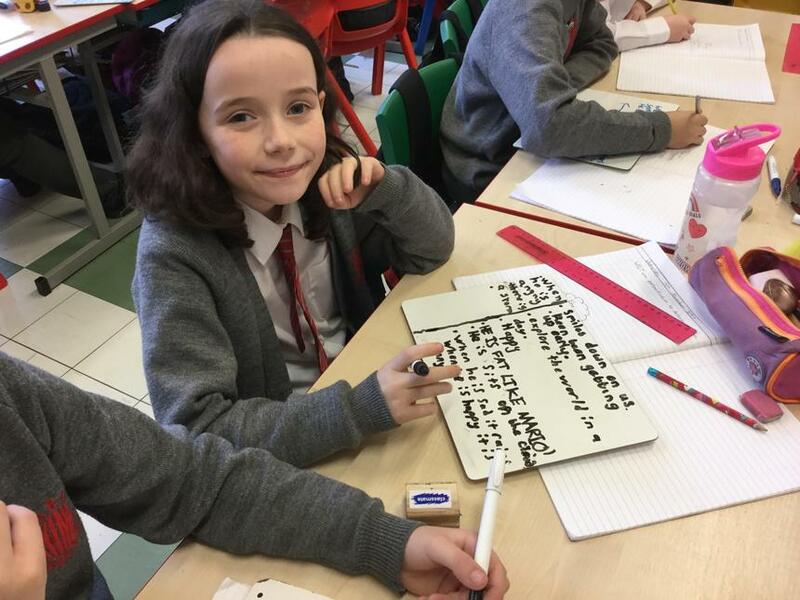 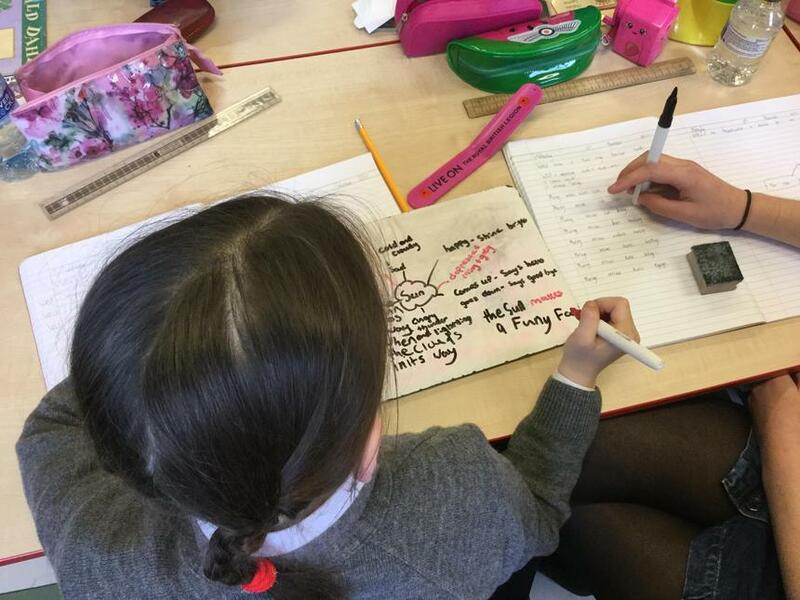 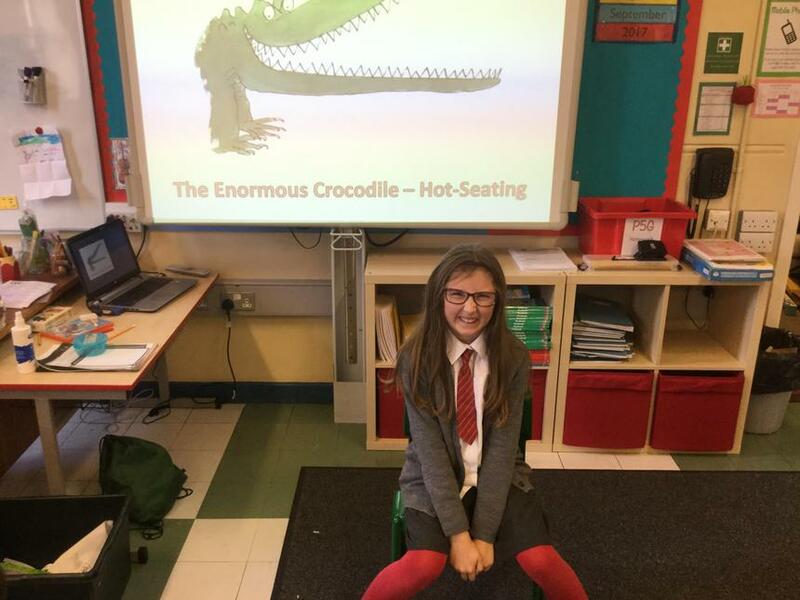 In groups, P5G worked together to predict the end of The Enormous Crocodile. 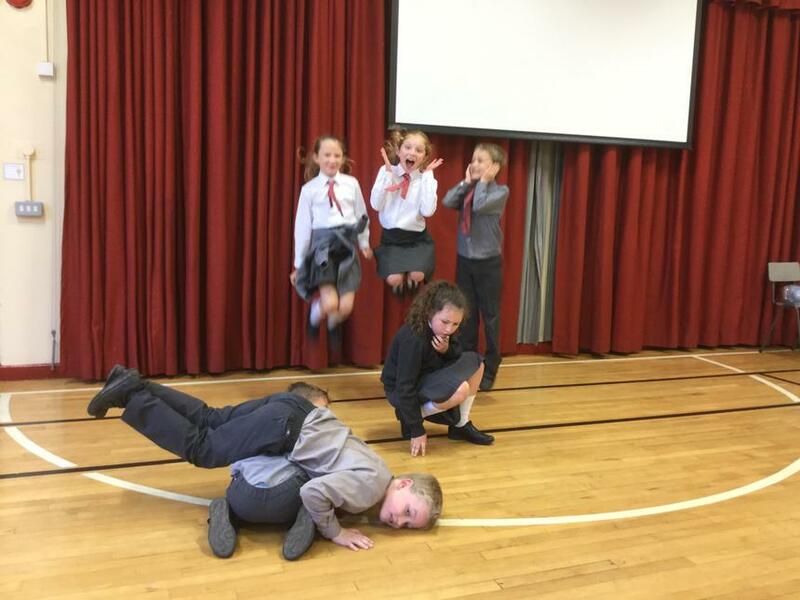 Some of our suggestions were extremely creative! 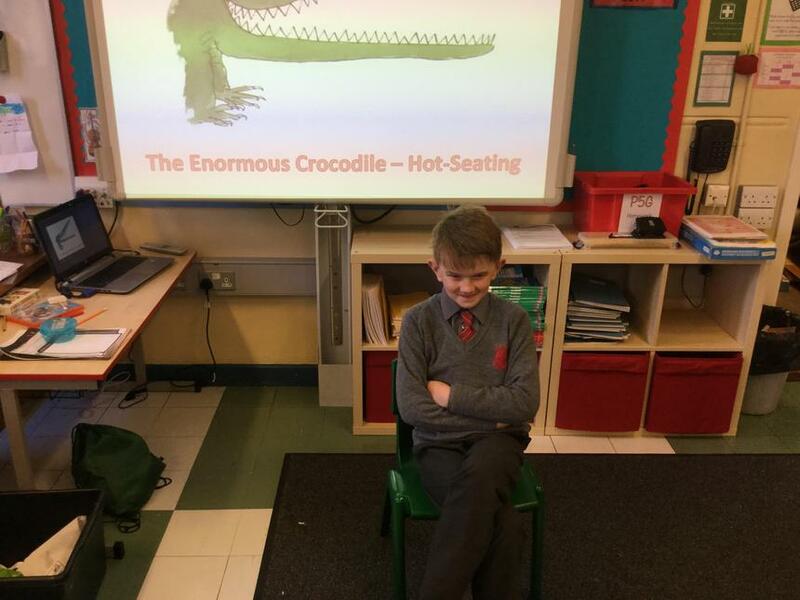 The Enormous Crocodile in the Hot Seat! 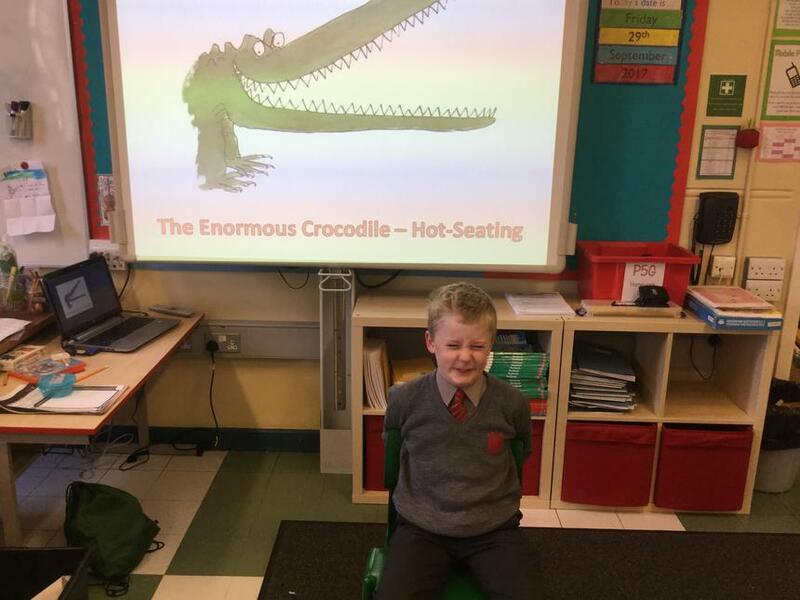 To finish our study of The Enormous Crocodile, we completed a hot-seating activity. 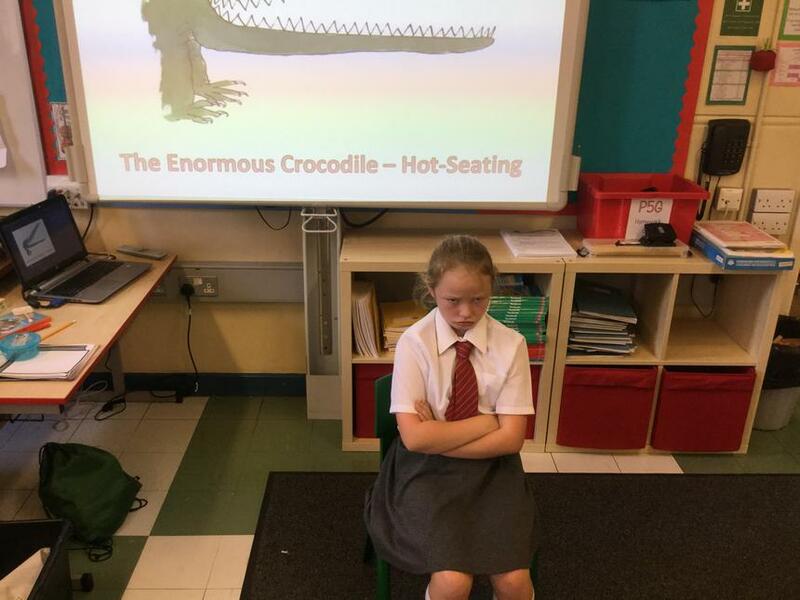 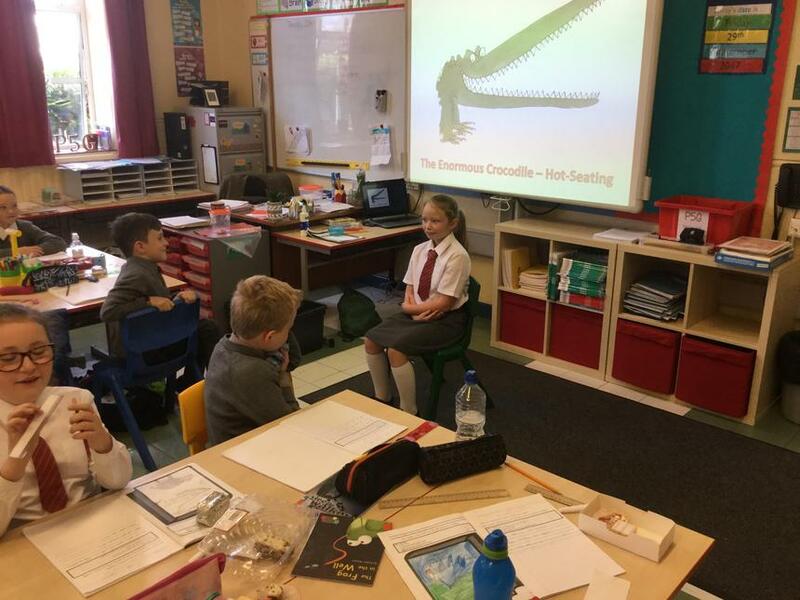 Each pupil wrote three questions to ask the Crocodile, and several pupils had the opportunity to act the role of the Crocodile in the hot seat. 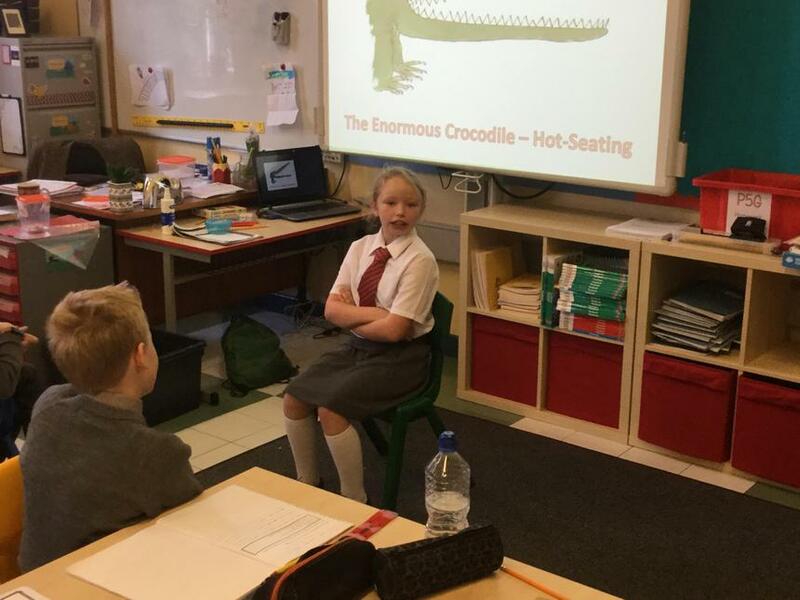 Some excellent questions were asked and all of the "Crocodiles" acted the role tremendously well! 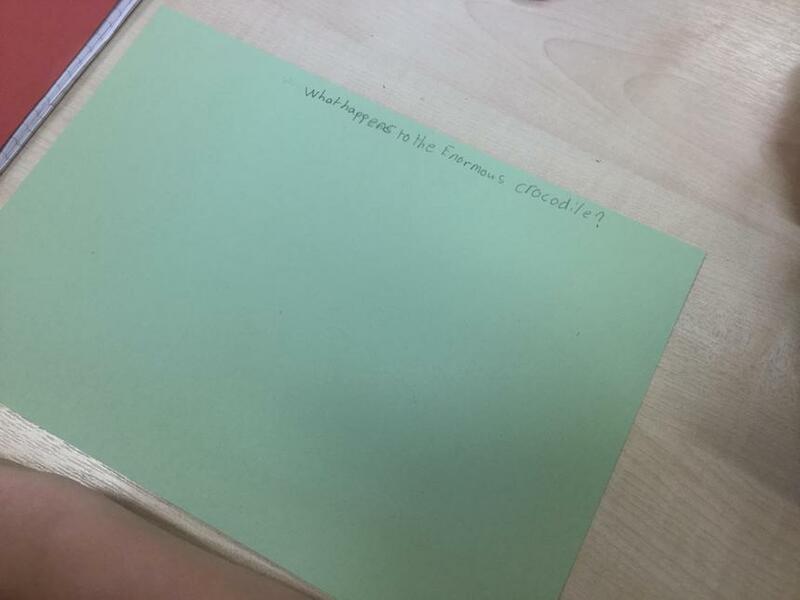 See "World Around Us" sub-page. 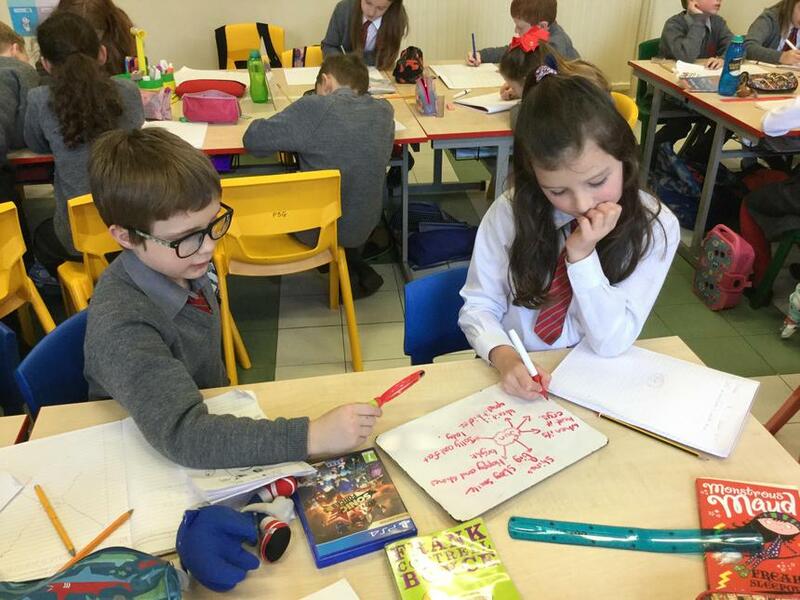 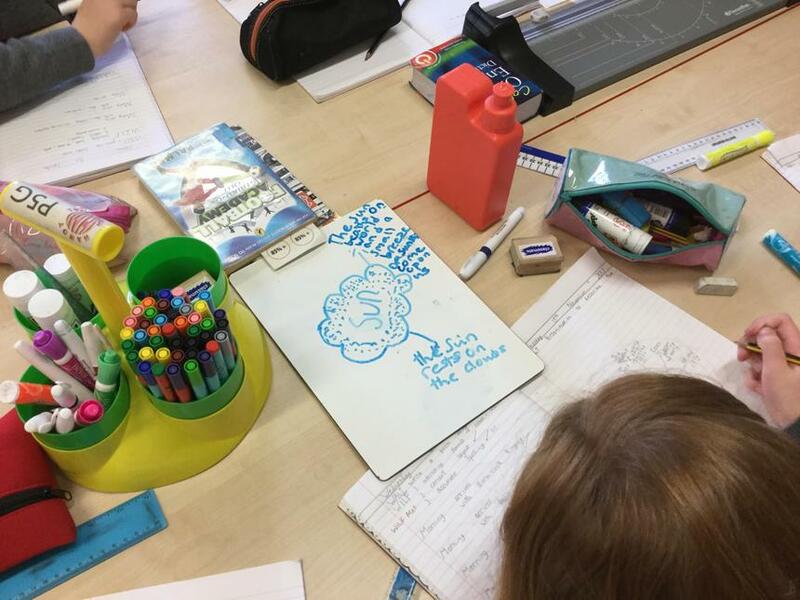 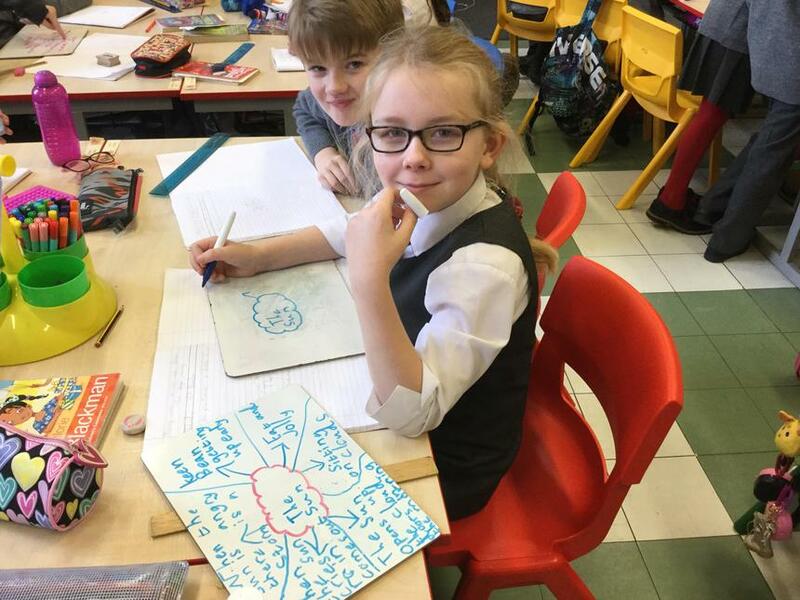 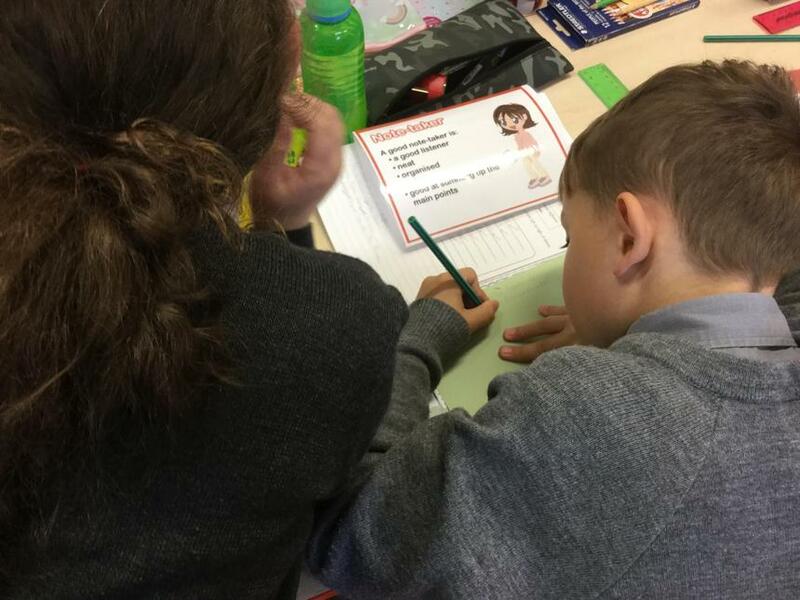 As part of our "Creating Images" topic, Primary Five were learning about personification. 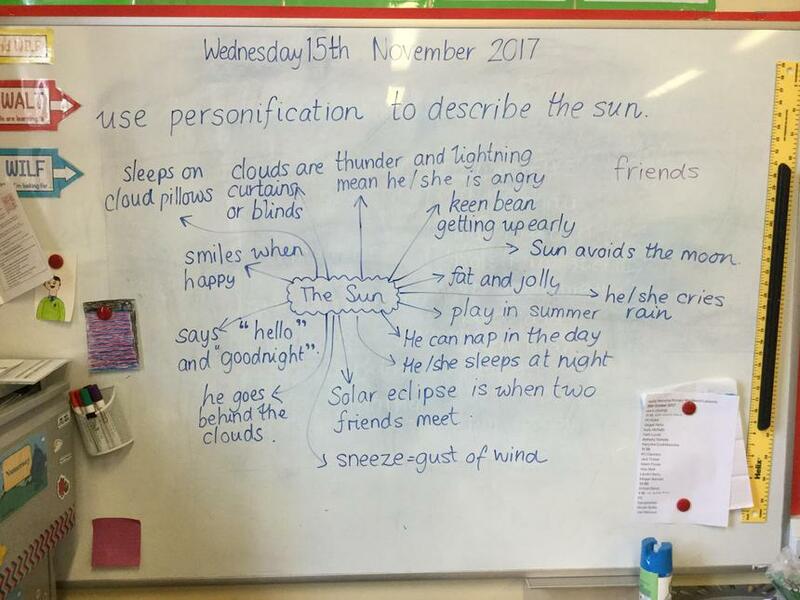 We thought about how we could personify the sun by giving it human characteristics. 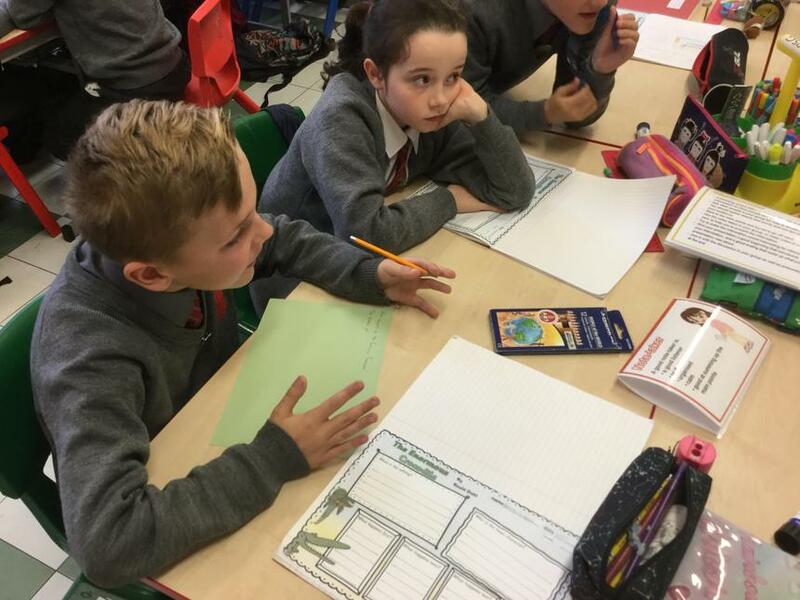 Take a look at our thoughts. 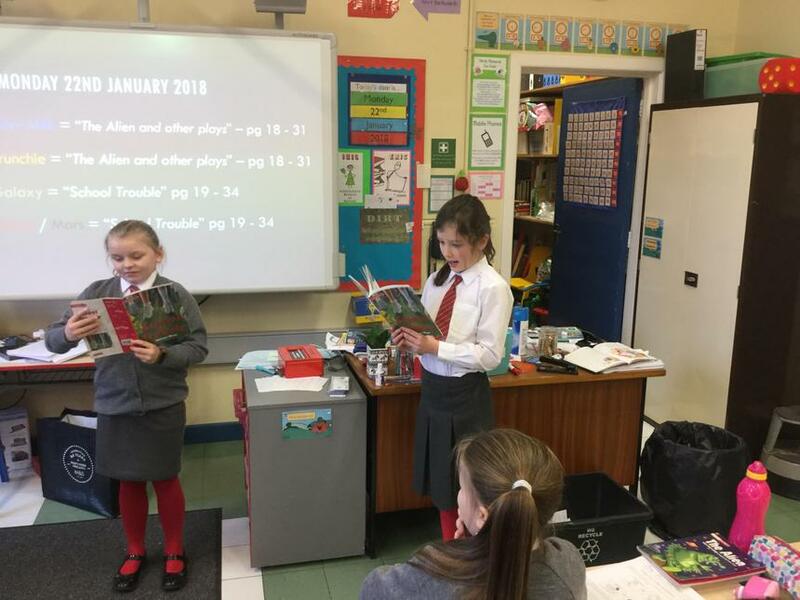 In January, our Literacy and Guided Reading focused on playscripts. 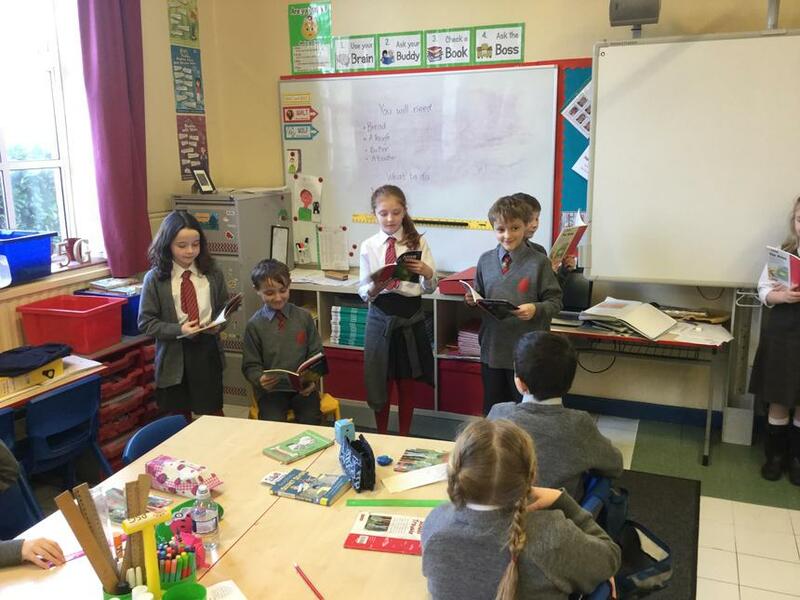 In Guided Reading, we had an opportunity to read, rehearse and perform some playscripts in class. 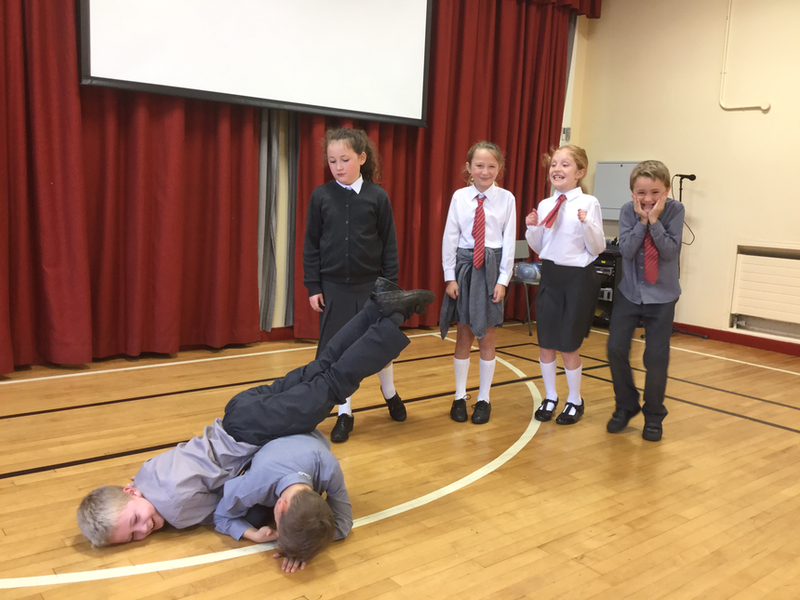 Take a look at some of our dramatic interpretations! 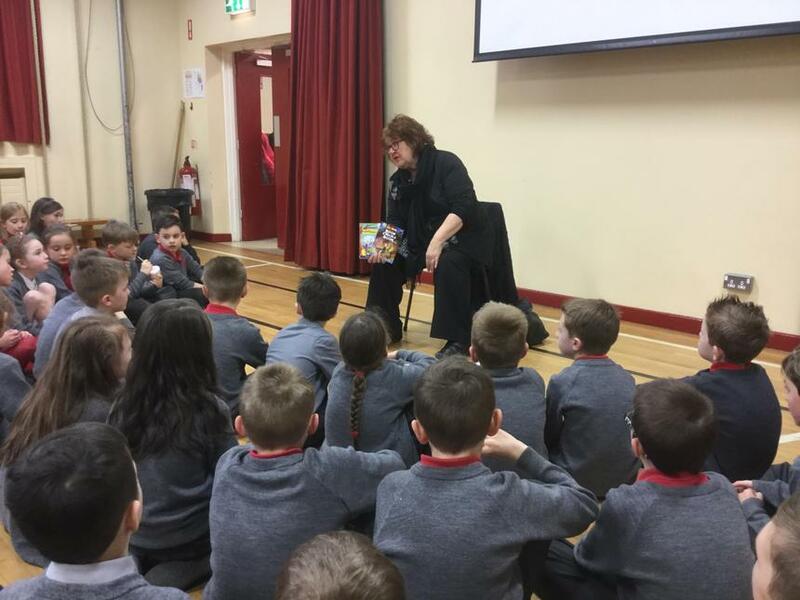 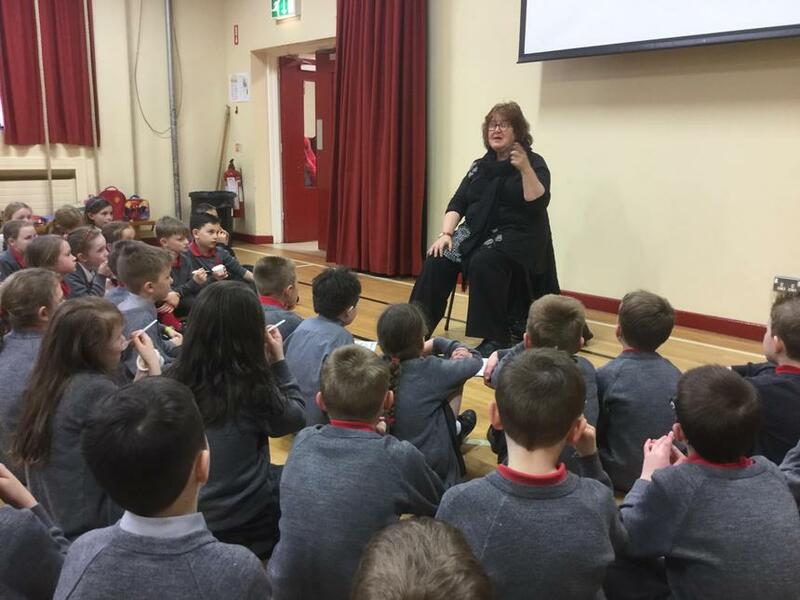 On Tuesday 27th February, as part of our World Book Day celebrations, we had a visit from Liz Weir. 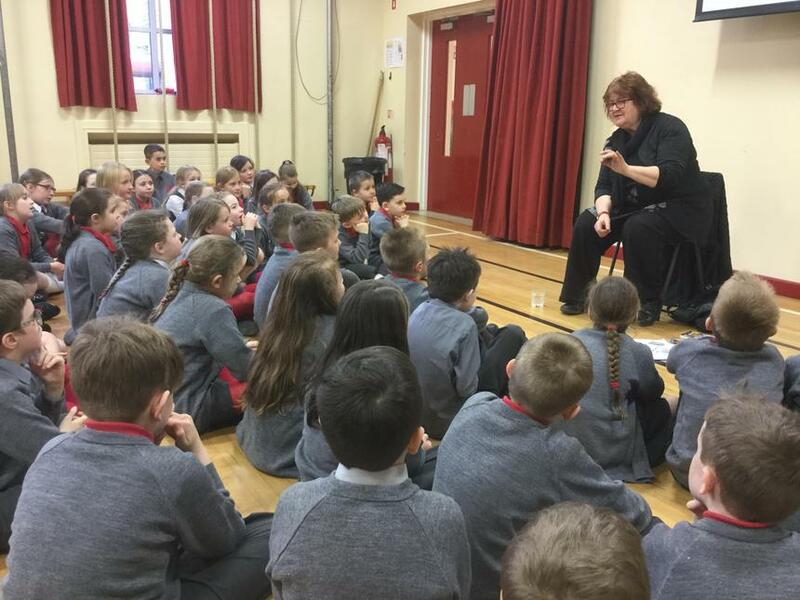 Liz is a storyteller and author. 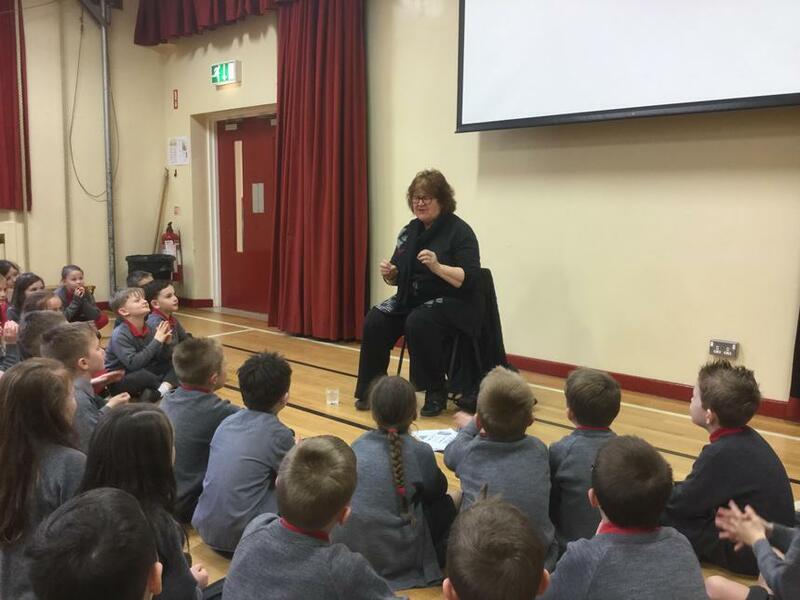 We really enjoyed her stories, her sense of humour and her enthusiastic way of presenting the stories. 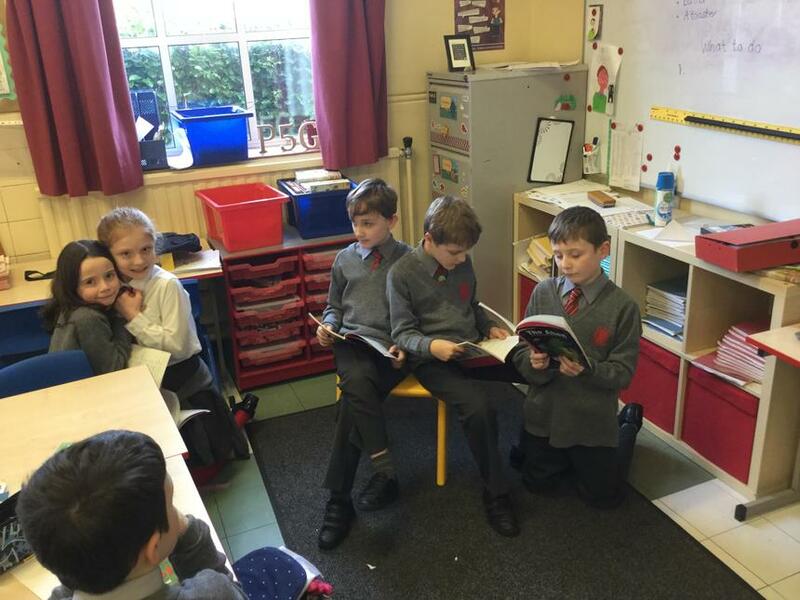 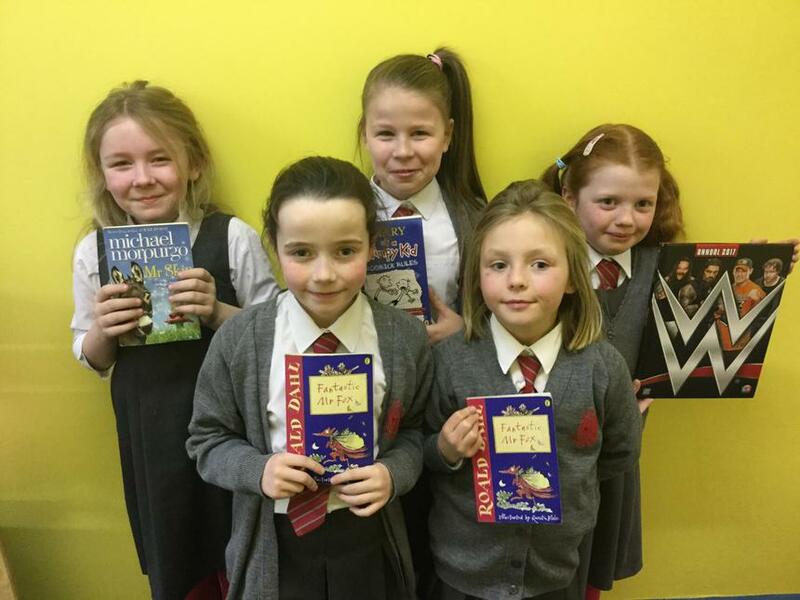 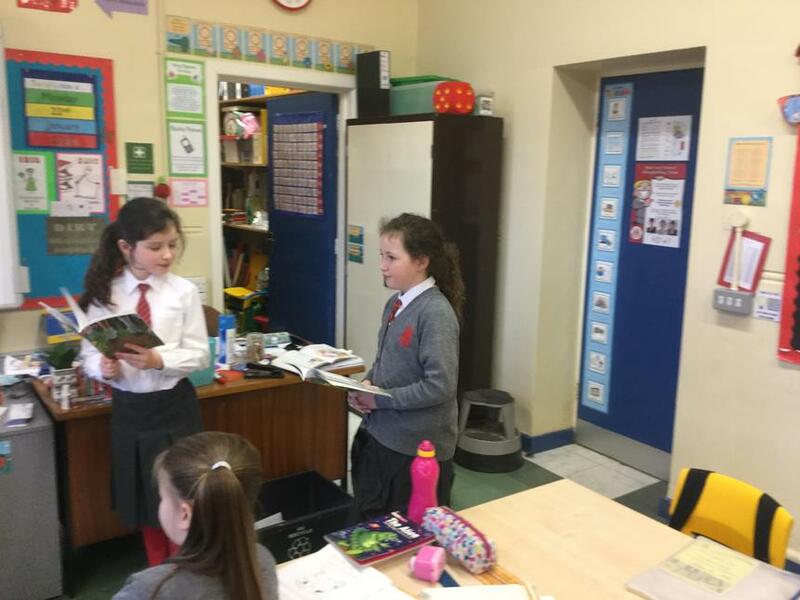 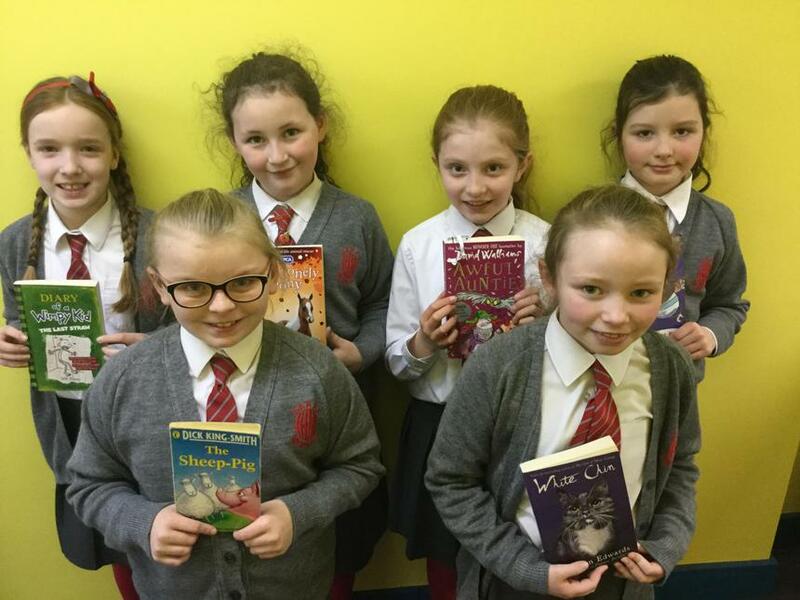 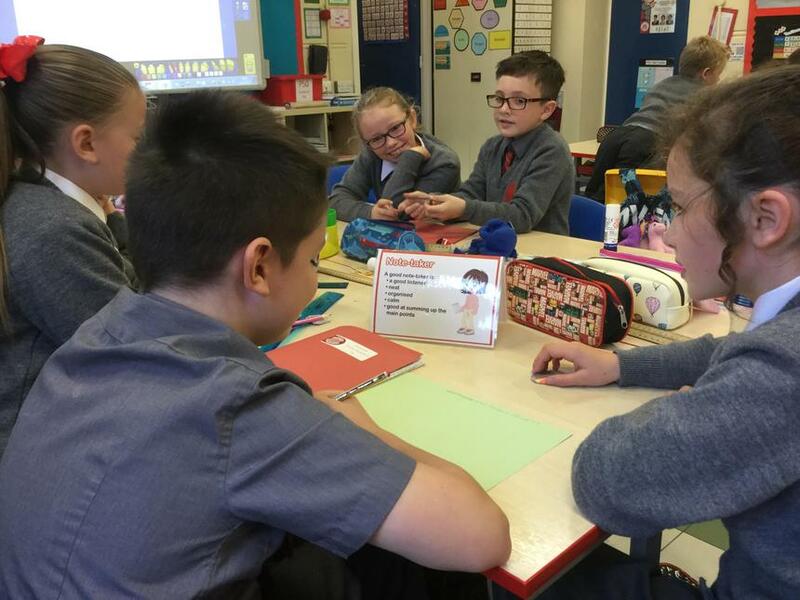 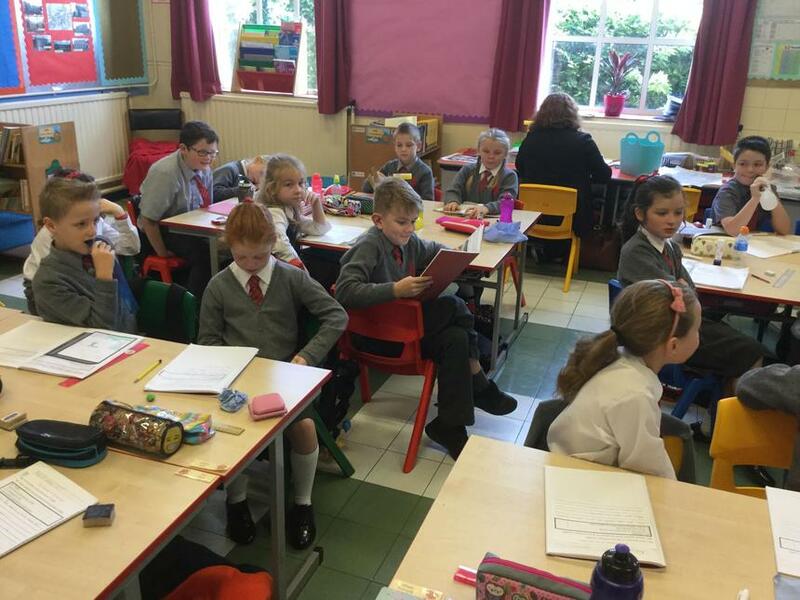 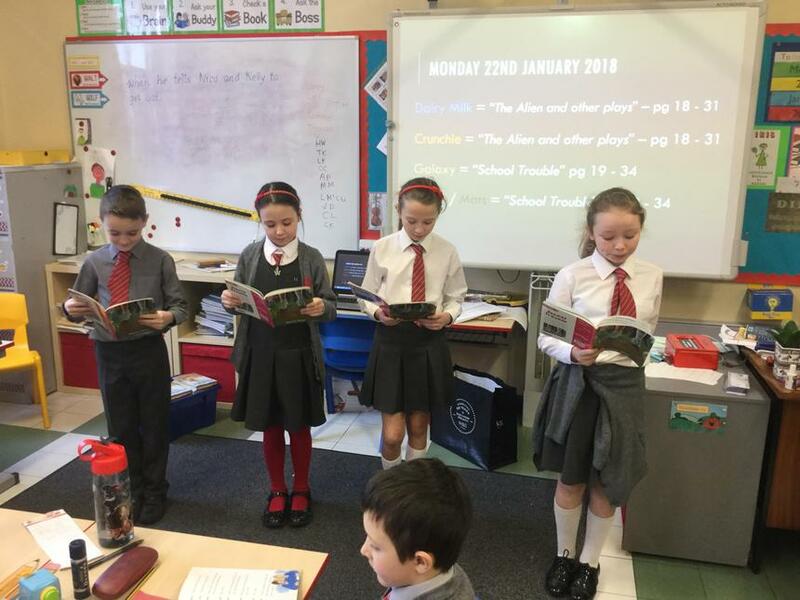 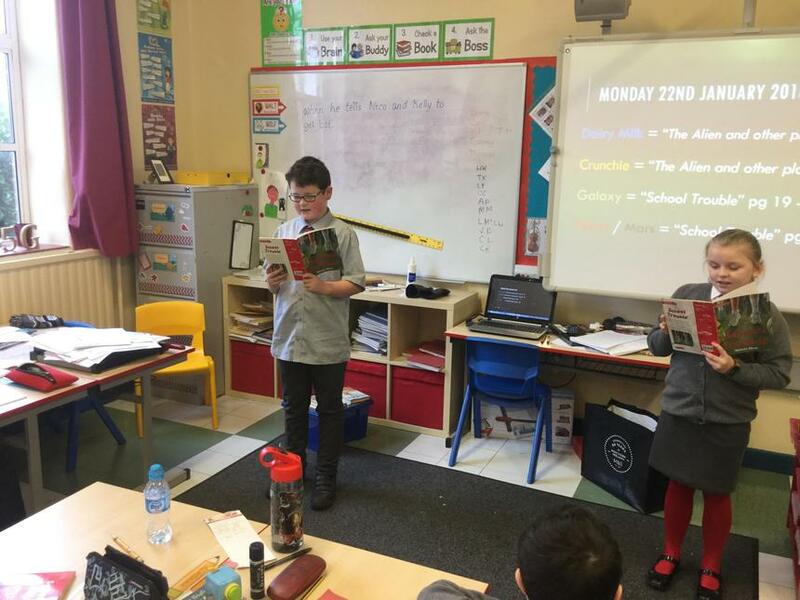 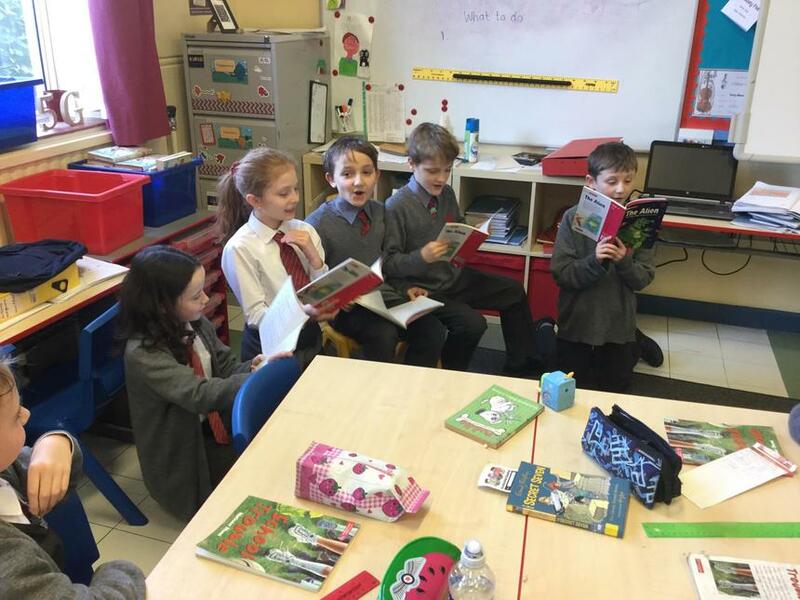 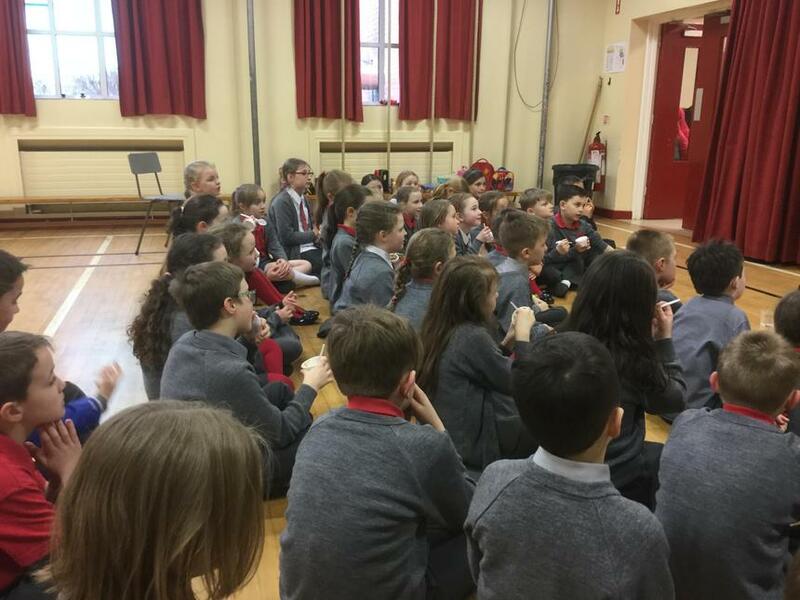 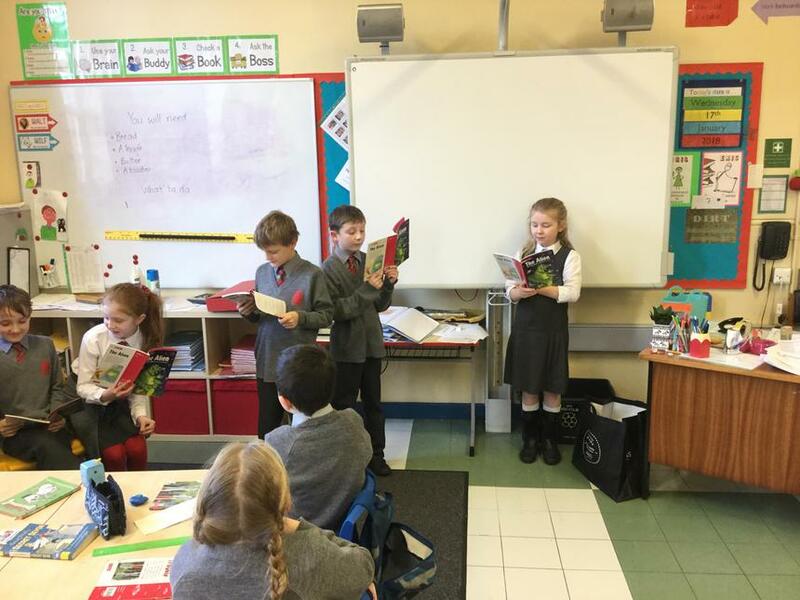 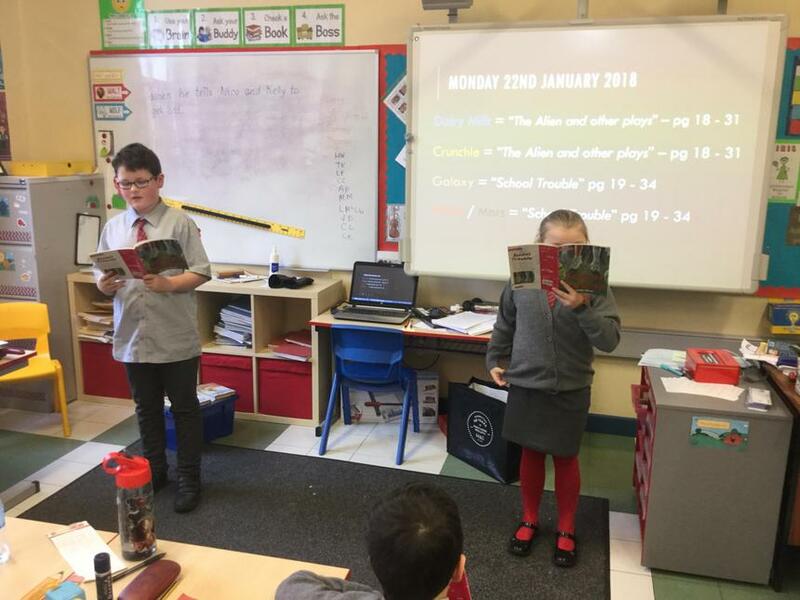 On Wednesday 28th February, pupils in P4 to P7 had an opportunity to participate in a book swap. 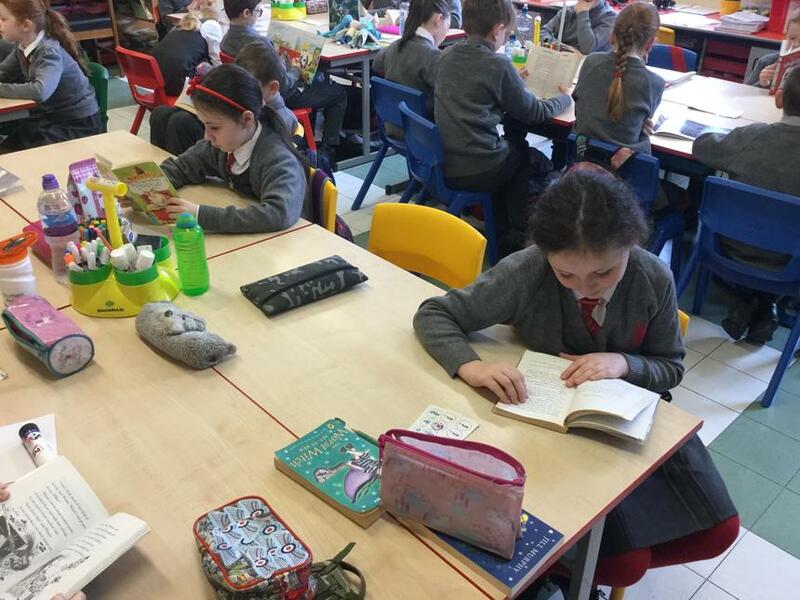 We brought books in to permanently swap. 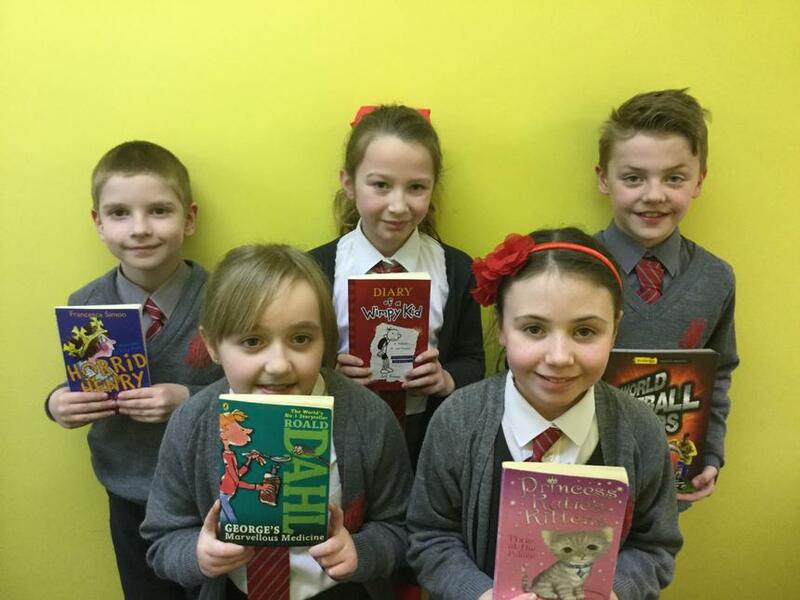 Here are some of our book choices.